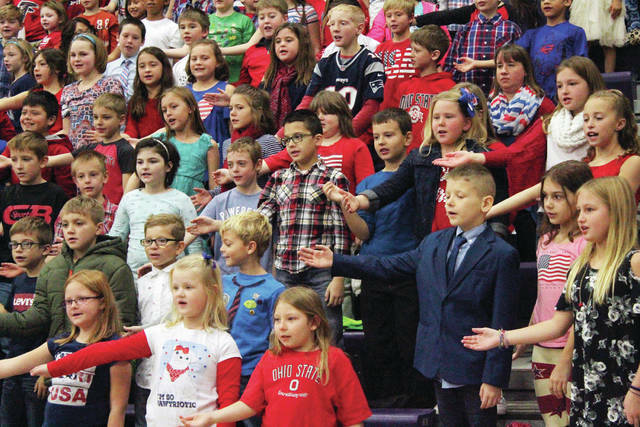 John Prazynski addressed students, staff, and local military veterans Monday at a Veterans Day assembly held at Wauseon Middle School. 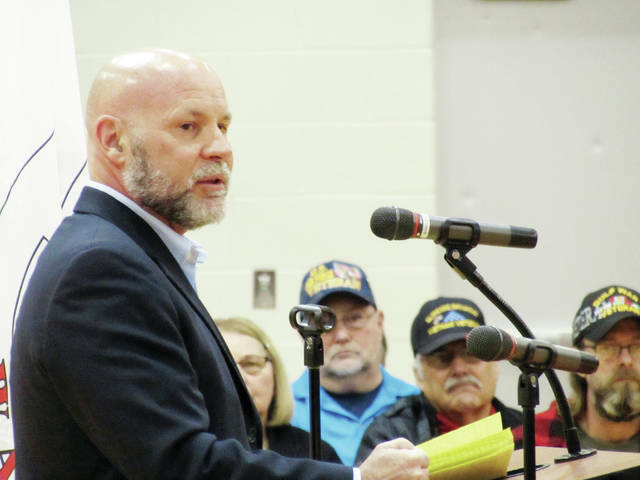 His 20-year-old son, Marine Lance Corporal Taylor Prazynski, was killed in Iraq from wounds inflicted by an exploding mortar shell on May 9, 2005. 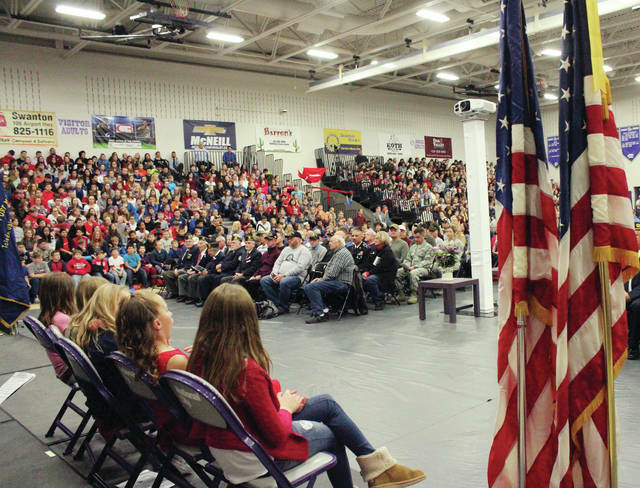 The elder Prazynski now devotes time to activities and fundraisers that support U.S. troops. 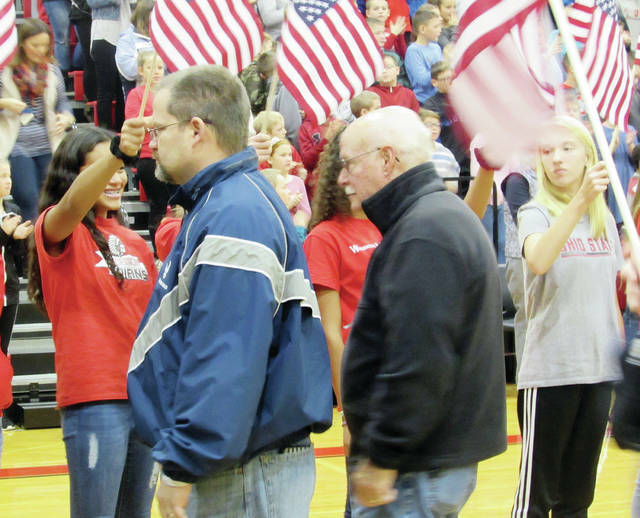 The veterans attending the Wauseon Middle School assembly Monday were honored by walking to applause through an aisle formed by students holding American flags.